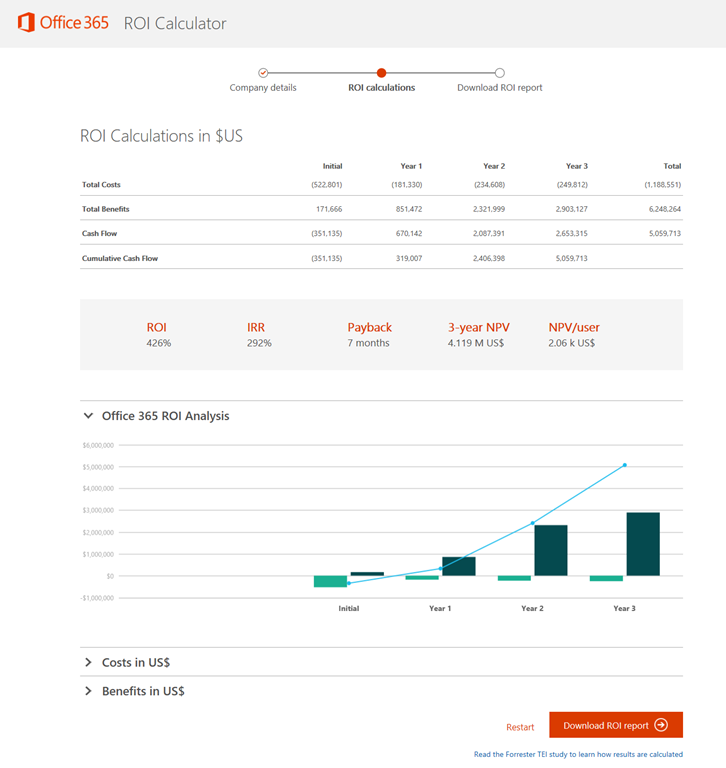 The Office 365 ROI calculator is an online tool that uses the details you provide about your company, including number of users and the type of solution you need to implement. Provide a few basic details to get started. Choose View calculations to see how much you can gain by implementing Office 365. 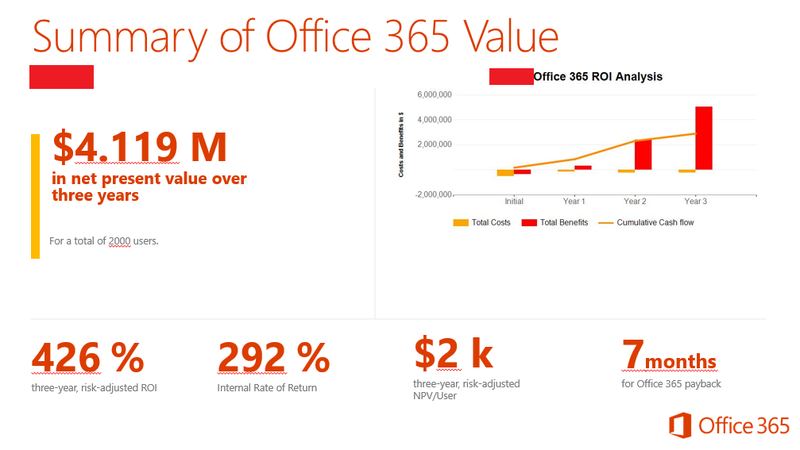 Click “Download ROI Report” to get a PowerPoint document entitled, “Office 365 Value Report Executive Summary – COMPANY – DATE.pptx”. Go to https://resources.office.com/total-economic-impact-microsoft-office365-enterprise.html for details behind the calculations.